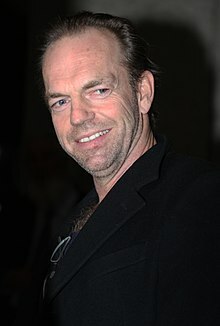 Hugo Wallace Weaving (born 4 April 1960) is an Australian film and stage actor. Yes, you like the money and the offers come in, but I don't think I know any actor who really, truly likes that glittery life. I think there's a lot of stress involved if you're up there. I very nearly died. Of course, everyone thought I was acting, even the person doing the strangling. But actually I was dying. Luckily someone noticed the froth coming out of my mouth and knew something was wrong. I wasn't that spooked by the incident. But when they told me I had been out for a while, I wanted to make sure I wouldn't have any long term damage because I didn't know how long the oxygen had been cut off to my brain. But I was fine apart from a couple of rope burns. That's what happens when you take art to extremes. In a real fight, there ain't no time and you've got to use your wits. If someone were threatening the life of my child, then I'd be a good fighter. If somebody just wanted to steal my wallet, well, maybe I wouldn't worry about it so much. Interview at about.com on The Matrix Reloaded.